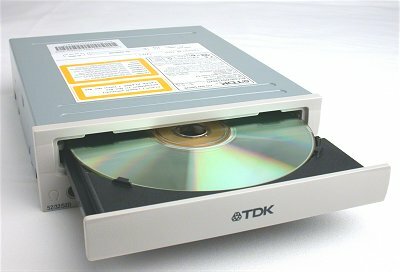 In a manufacturing sector where speed markets itself, TDKs latest and fastest CD-Writer to bear the CyClone name could well be the replacement for your slower optical storage drive. If length were of any installation concern to you, you would be delighted to know that this drive is amongst the shortest CD-Writer money can buy. Looking at the faceplate, some might be puzzled by TDKs rather backtrack approach in using the over-used and dull beige design for its latest Cyclones frontal looks. The drive would have fetched a better appearance rating had it used its trademark translucent blue tray design. Appearance aside, the performance of the drive is somewhat of a mix bag but with a positive standpoint. To start off, the drive produced an unusually high CPU usage when reading CD-RW media. It also clocked in a rather slow CD-RW read speed as compared to the Plextors 52x. If youre one who uses CD-RW media excessively, this drive might not be suitable for you. On the other hand, if using CD-RW is a once in a blue moon affair for you, the drives excellent read speed and slightly above average seek time in other medias especially CD-R will possibly entice you to be a CyClone convert. Moving on to the media writing side of the drive, some decent writing speeds and timing were recorded, noticeably so when writing chunks of data into high speed 24x and 32x CD-RW medias. The CyClone practically blew the rest of the drives away in the 24x CD-RW write test and emerged winner by a few seconds in the 32x CD-RW segment. Summing it all up, the CyClone 52x32x52x CD-Writer, probably the last to bear the CyClone name from TDK is a definite keeper providing perfect competence in Digital Audio Extraction, a generous bundle considering its low retail price, good media compatibility and sound overall performance. This is one purchase you probably wont regret.